Back in September 2013 we wrote a post on how to get your Google+ photo displaying alongside your search results using Google Authorship. It detailed how to link your WordPress Blog to your Google+ profile so that information from your profile and your Author Photo (Google Profile Photograph) showed alongside your search result. So why did Google decide to remove the Author Photo from search results? Google have now decided to remove the Author Photo from search results. In a post on Google+, John Mueller describes how Google have been working to clean up the visual design of their search results. So how are author photos changing? The announcement means that the author photo in most Google search results will no longer display. Up until now, if you verified your authorship through Google+ and Google chose to display it, you may or may not have seen your author photo display to the left of Google search results along with your Circle Count. It was always a little hit and miss and sometimes it would show your image, other times it wouldn’t. In the future, Google only plans to display the Author Name in the search snippet. Goodbye author photo and Circle Count. Here’s a screenshot showing how the search results looked before and after the author photo and Circle Count have been removed. Nothing is changing and Authorship is still well worth setting up on your Blog. Nothings changing in the way you set up or verify your website & Google+ authorship. Is Google Authorship still worth doing? We imagine that for many, having your author photo displayed alongside your listing was the be all and end all of Google Authorship and now that your author photo has been removed, the number of sites verifying Google Authorship will drop. Even with the photos removed we still think that it is worth while going to the trouble of setting up authorship as you still get a click through link to your Google+ profile and who doesn’t want to see their name show up alongside your search listing? And who knows what Google might have in store for us in the future. Maybe author photos might make an appearance again or authorship may play a bigger part in listings so we still advise all of our customers to spend the time and get Google Authorship set up. But the Author Photos are still there! It seems that Google has only removed the Author photo from external sites listings. The decision by Google to remove authorship images applies only to external sites, like yours and mine. Google+ posts are still showing the author photo for logged in users. This news is huge and Google+ has all of a sudden become very very important to SEO. But before you rush over to your Google+ account and start posting there are few caveats. Firstly you have to be logged in to Google and viewing personalised results. But hey, this applies to anyone who has a Google account and logs in. So that’s anyone who uses Webmaster Tools, Google Docs, Google Calendar etc etc. But, and here’s the downside to this. These authorship results displaying an author photo are based on your personal Google+ network so only posts related to your search query by people in your Google+ network will display the author photo in the search results. Even with these limitations this is still huge and shows how much importance Google+ plays. So, if you haven’t got a Google+ page and don’t post to it regularly… What are you waiting for? Typical of Microsoft. Rather than spend time and effort making your product better than everyone elses. Use childish tactics instead. 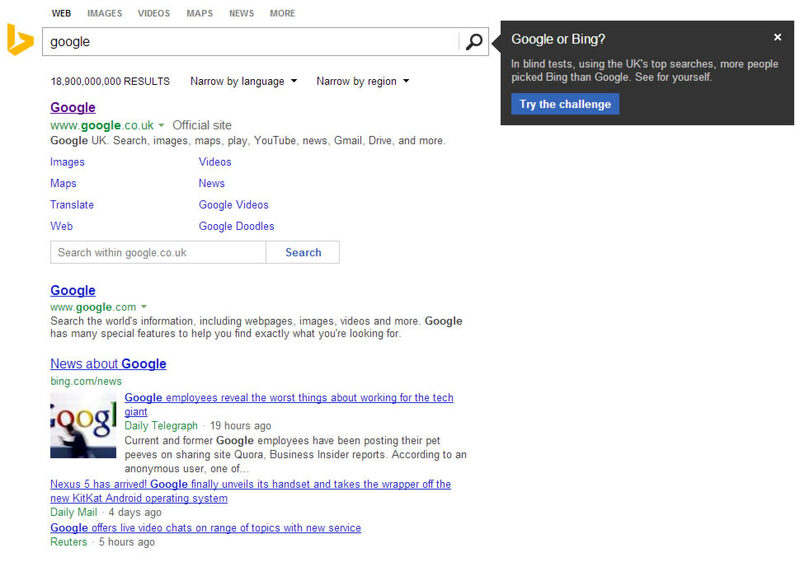 Microsoft have been running their Bing it On campaign for a while now to try and tempt people away from Google and over to their Search Engine. The idea being a direct comparison test where you would enter a search query and then decide which results you liked. Reminds us of the whole Coke vs Pepsi challenges of years gone by. 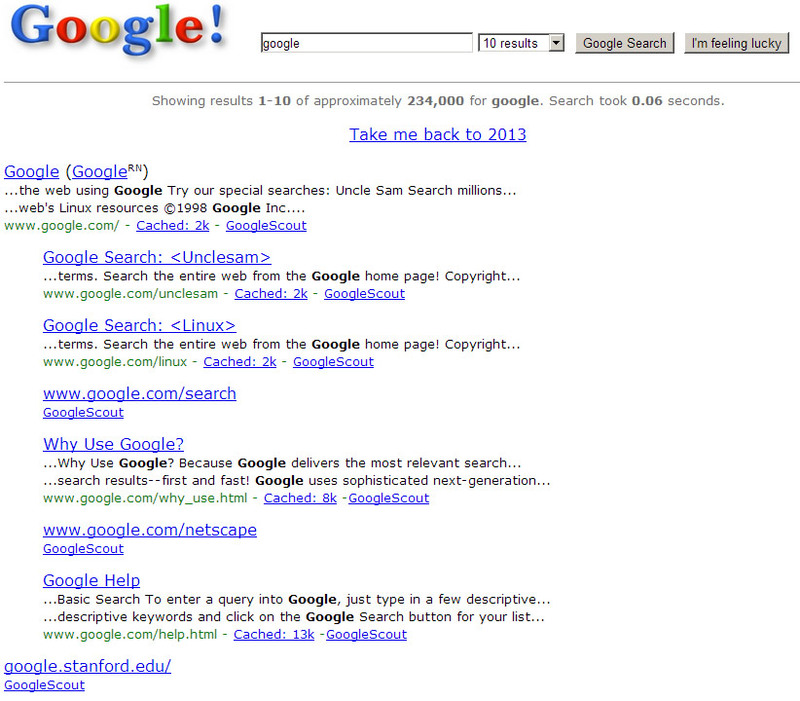 Now they have decided to make it even more obvious by displaying a pop up when you search for Google! Try this. Visit Bing, (here’s the url as you more than likely never use it: http://www.bing.com/?cc=gb) and type the word Google into the search box.